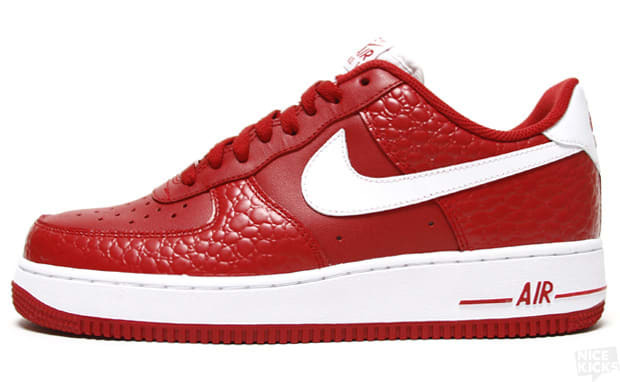 Kicks of the Day: Nike Air Force 1 "Varsity Red/White"
The Air Force 1 — you don&apos;t get any more classic than that. And with summer-time within our reach, Nike is beginning to crank out several warm-weather specific renditions. This particular AF1 is a beauty. Donning Varsity Red and offset with a pure white hue, what&apos;s not to love about this color combo? Also, the upper features a pebbled effect as well as smooth leather to boot. All in all, two thumbs up for the Air Force 1 "Varsity Red/White." Pick the fresh make-up through Nice Kicks for $88. Red is becoming the shade of choice, fellas.